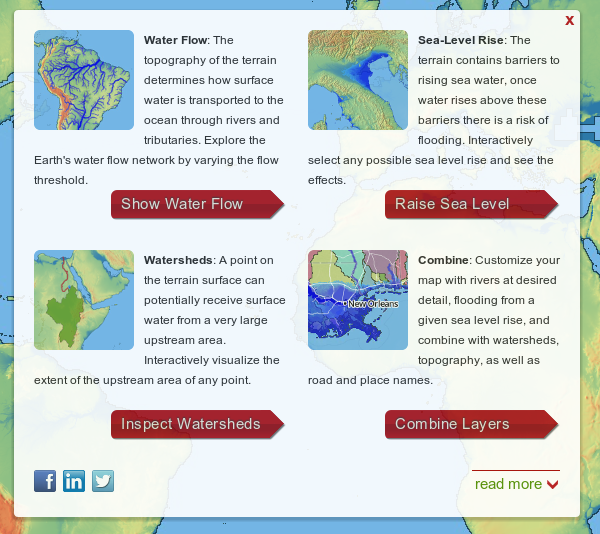 Straight from the SCALGO Labs is the launch of SCALGO Live Global which provides you with a powerful way to visualize flooding and surface water flow on a near-global elevation model (the SRTM-model from NASA). Try the interactive watershed-query tool or some of the other tools, pills they are very interesting to play around with. There is also an official press release.